Investment, whether in company stocks, funds, bonds or property, is a well-known and increasingly popular focus for those with spare capital who are hoping to improve their long-term financial position. In fact, modern technology makes it easier than ever to get involved in financial investing, and there is a wealth of information available out there. 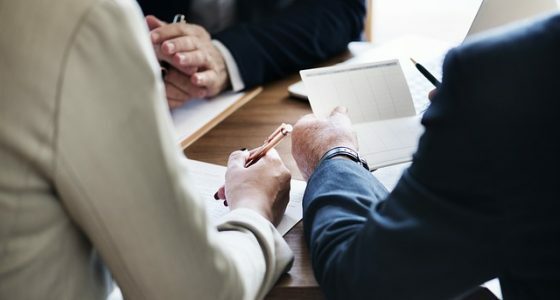 While it can be tempting to go it alone and attempt to navigate the financial markets on your own, there are distinct advantages to delegating aspects of your investment activity. Delegation, after all, is one of the most important factors in good management, and it can help you to make the most of your investing by ensuring that you avoid simple mistakes and helping you to maximise the opportunities. Asset managers, sometimes known as money managers or investment managers, are individuals or companies that take care of the day-to-day management of the investments of an institutional or individual investor. Asset managers will usually employ a range of specialists, covering areas such as investment research, selection and monitoring, in order to maximise the returns on the investment. A key part of the asset manager’s role is to meet their responsibility to choose and manage investments for their client prudently, maximising profit while ensuring that the client’s goals are prioritized and that the investment is properly monitored and controlled. If you enter into your investing career without using an investment manager, your relationship with your broker will be on a transactional basis. Brokers are rewarded with commission on each trade you make, so their primary interest in you is to ensure that you make regular trades, regardless of whether those trades are successful or not. This works fine for some people, but for those who would prefer more of a partnership, delegating your investments to an asset manager is a better option. Asset management companies are typically rewarded with a percentage of the value of the assets they manage, rather than fees or commissions, which means that they are effectively on the same side as their client. If the asset grows, they will receive a higher reward, so both the client and the company will be focused on the same goal and on making their partnership profitable. The financial markets can be tricky to navigate for newcomers, and while it is possible to develop a degree of experience and knowledge through individual research, an asset manager will typically have access to a wealth of expertise. Many people working as asset managers not only have a range of qualifications, equipping them to thrive in the financial world, they often have specific experience in certain sectors that they can call on when deciding whether to recommend a particular stock or fund. By using an asset manager, this expertise will be working for you. Expertise is particularly important when it comes to making foreign investments. Investing overseas is becoming increasingly common, but it brings with it certain pitfalls, particularly when it comes to negotiating the laws and regulations that affect investments in individual countries. For example, investors in assets in the Middle East may turn to an investment management company with the reputation of Al Masah Capital to help them maximise their profitability and to take advantage of local knowledge of issues such as taxation and investment rules. Another advantage of delegating your investments is that asset managers will have access to a range of resources that an individual investor simply cannot match. An investment management company will be able to draw on not just the experience and expertise within their ranks, they will also be able to utilise research, analytics data and a range of financial modelling software. While this doesn’t ensure that they will make a profit, it does make it more likely that they will succeed in making the right investments at the right time, which will enable you to make the most of your financial commitment and give you a better chance of reaching your financial investment goals. The art of delegation is a cornerstone of modern business practice, and there is no reason why individual investors should not also benefit from delegation. By allowing a skilled, experience investment company to manage your investments, you will be able to benefit from their resources and knowledge, leaving you free to pursue other projects, safe in the knowledge that your investments are working actively for you and your future.